30,000 enemies defeated at Vaterlo, by the French vanguard, which comprises 14,000 troops. 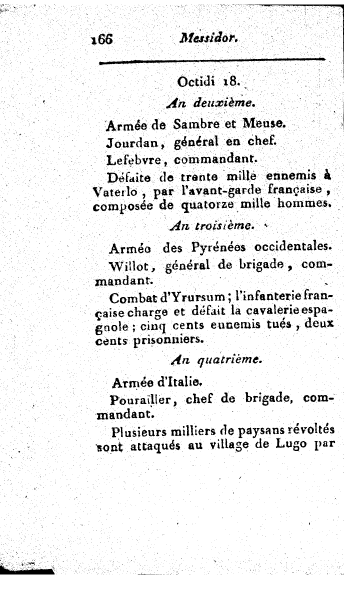 Fight of Yrursum; the French infantry charges and defeats the Spanish cavalry; 500 enemies killed, 200 prisoners. 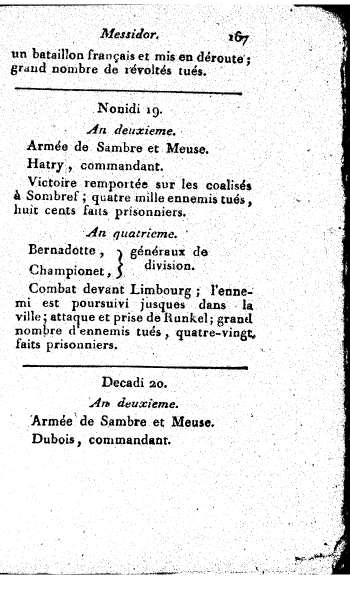 Pourailler, brigade commander, commanding officer. a French battalion; many insurgents killed.